The National Fire Protection Association (NFPA) 70E is a comprehensive standard that establishes best electrical safety practices standards on how to protect electricians from electric arc flash and arc blast exposure and resulting potential injury and death. OSHA has referenced this electrical safety standard in numerous cases, and many organizations have now designed an NFPA 70E Compliance Guide to help protect their electrical personnel from the hazards associated with arc flash. NFPA 70E Training meets the Compliance Reference: CFR 1910.332, 333 & Title 8 CCR 3314. Below are the most recent student reviews for previous Arc Flash NFPA 70E Training - Qualified Persons Courses. I learned a lot from this class and Roy is a great instructor. I learned a lot from this class and Roy is a great instructor. The class was very informative and maintained a constant flow throughout the course. All questions were answered allowing... The class was very informative and maintained a constant flow throughout the course. All questions were answered allowing allowing the full understanding of the instructors content of the course. The handout material and videos presentation was very helpful in driving the point of safety and the respect with Arc Flash. 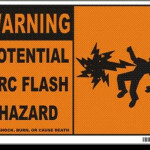 I have had Arc flash training in the past, however, the TMC group training conducted by Roy was one, if not the best class... I have had Arc flash training in the past, however, the TMC group training conducted by Roy was one, if not the best class I have had regards to NFPA 70E. I will be making a recommendation to our company that we use them in the next NFPA 70E training class.